Physics lesson. 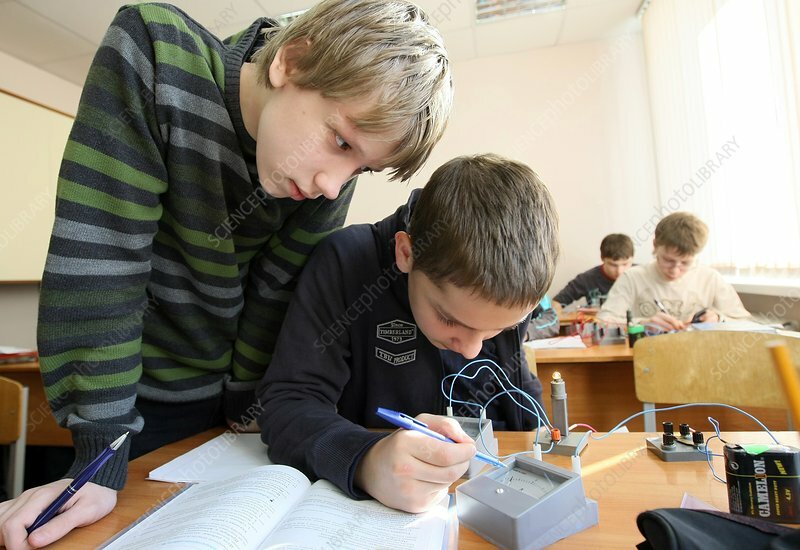 Two teenage boys performing an experiment on an electrical circuit during a physics lesson. The boys are in the eighth-grade (age 13-14 years). Photographed at the Aurora private school in Novosibirsk, Russia.